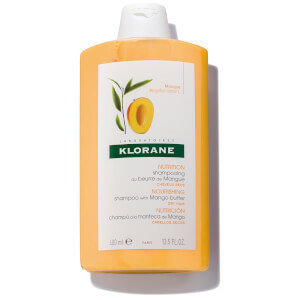 This shampoo nourishes, relaxes and smoothes hair fiber. It provides suppleness and shine in hair and prepares it for anti-frizz action. Hair is light, shiny and easily styled. Supplies hair with essential fatty acids and phospholipids. Protects hair shaft from drying. Apply to damp hair, leave on to take effect for 1 to 2 minutes in order to promote penetration of active ingredients. Rinse thoroughly. 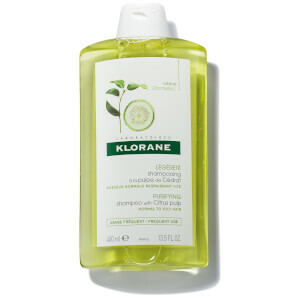 International Customers - Klorane products cannot be shipped outside the U.S.
Water (Aqua), Sodium Laureth Sulfate, Cocamidopropyl Betaine, Ceteareth-60 Myristyl Glycol, Coco-Glusoside, BHT Citric Acid, Cyperus Esculentus Root Oil (Cyperus Esculentus Oil), Disodium EDTA, Fragrance (Parfum), Glycol Palmitate, Glycol Stearate, Green 3 (CI 42053), Guar Hydroxypropyltrimonium Chloride, Methylisothiazolinone, Methylparaben, Oleth-10, Polyquaternium-7, Yellow 5 (CI 19140).